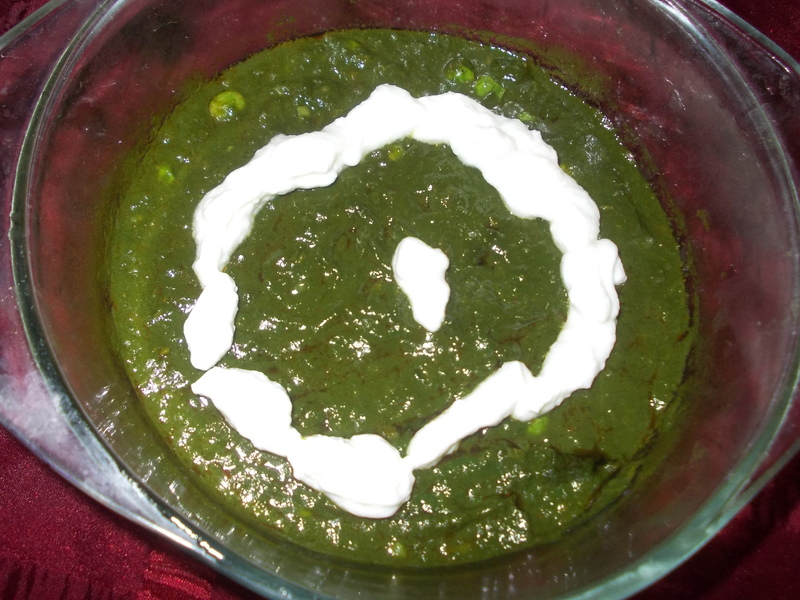 Palak Makhani is a well known dish of Punjab. It is a mouth watering & healthy combination of spinach & rich spices. Steam spinach & fenugreek leaves together & make a paste of it. Put oil in the pan & add cumin seed, ginger paste, garlic paste, turmeric powder, salt & stir well. Add the paste, sugar, green peas & cook until oil releases. Spread fresh cream on the top & serve hot.